Well, the last of the summer car auctions just ended and set many new records. 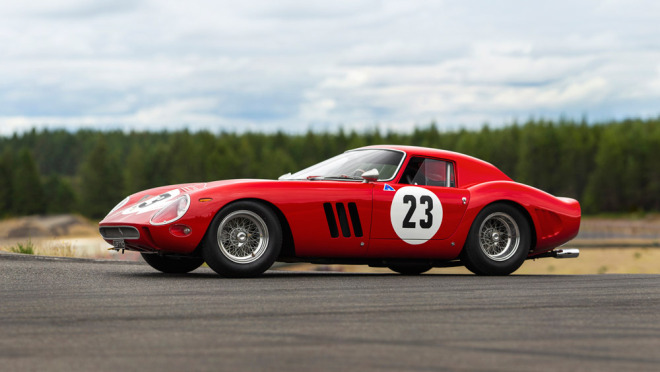 At the top of the heap was a 1962 Ferrari 250GTO that fetched a whapping $48,405,000 at RM Sotheby’s, helping RM reach total sales of $157,931,940, a 19% sales increase vs. 2017. Not to be outdone, the people at Gooding & Co., sold the second highest priced car, a 1935 Duesenberg SSJ that once belonged to actor Gary Cooper and was part of the Briggs Cunningham collection for almost 40 years, for $22 million, setting a record for an American car at auction. Mecum had a total of 690 cars for sale and sold 360 of them for a total of $44.7 million. Their top dollar car was a 1933 Duesenberg Model J Convertible Coupe Disappearing Top Roadster that sold for $3,850,000. Preliminary sales numbers, when you add all the auctions up, show that 1376 cars crossed the block, with 841 finding new homes, and sales topping more than $360 million. This number can change higher, as there are still after auction negotiations going on. Next PostFeatured Corvette: 1980 Black Corvette Coupe – One Owner – Only 14,000 Miles!